Renowned Bengali poet Nirendranath Chakraborty died of a massive cardiac arrest at a hospital in Kolkata on Tuesday. Chakrabarty, 94, was admitted to the private hospital on Monday due to age-related ailments including acute breathing problem and suffered the cardiac arrest at midnight, the family said. He breathed his last at around 12.25 pm. Chakraborty is survived by his two daughters. His wife had died in January this year. Born in 1924 at Faridpur in undivided Bengal, Chakraborty was a dominant figure in the modern Bengali literary field. He published his first book of poems, Nil Nirjone, in 1954, when he was 30 years old. In 1974, he won the Sahitya Akademi award for his poem Ulanga Raja, which was a satire on society. Some of his other famous poems include Amalkanti Roddur Hote Cheyechhilo, Kolkatar Jishu and Pahari Bichhe. Chakraborty wrote at least 47 books, many of them for children, 12 novels and many essays on various problems. He was editor of the children’s magazine Anandamela for years, as well as associated with the magazine Desh. He was the president of the Paschimbanga Bangla Akademi, the official regulatory body of the Bengali language in West Bengal. He had also won the Ananda Purashkar award. Chakraborty, who continued to write poems until he fell very ill, had penned a poem in November for a magazine. West Bengal Chief Minister Mamata Banerjee offered her condolences at Chakraborty’s death. 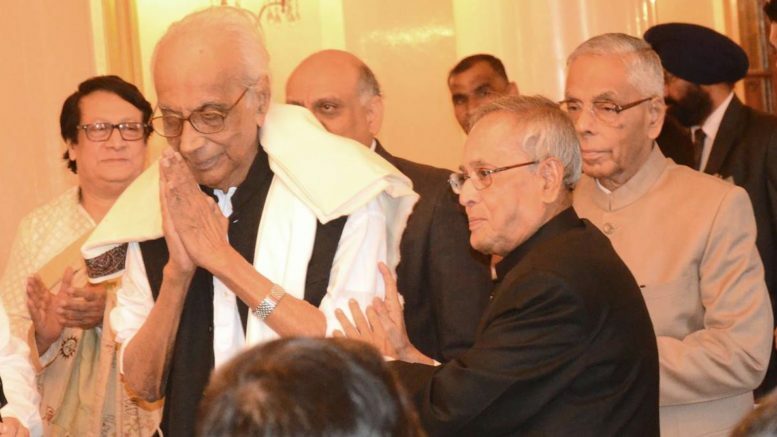 “Saddened at the passing of poet Nirendranath Chakrabarty,” she tweeted. “It’s a great loss to us all. His contribution to Bengali literature was immense and he will be always remembered through his works. We had felicitated him with Banga Bibhushan award in 2017. Condolences to his family.” Education minister Partha Chatterjee too paid his respects to the veteran poet. Crediting Chakraborty for guiding him when he came to the city as a struggling poet in his youth, Subodh Sarkar said the renowned poet’s death was a “great personal loss”. Eminent writer Sirshendu Mukhopadhyay recalled how Chakraborty had inspired him to write fiction as editor of a children’s magazine and that there was a “sense of void” with his demise. Distraught by the news, writer Nabanita Dev Sen said that a “shelter over the head of all of us has gone now”, while poet Sankha Ghosh stressed that Chakraborty’s death was a loss for millions of Bengali readers. Chakraborty’s mortal remains were kept at Rabindra Sadan in Kolkata, the city’s cultural centre, to let people pay their tributes. The body is to be taken to his Bangur Avenue residence briefly before cremation at Nimtala Burning Ghat with a gun salute. Be the first to comment on "Eminent Bengali poet and writer Nirendranath Chakraborty passes away"